It’s possible that fault-finding may not sort out your problems or that the repair costs mean you should consider having your Potterton boiler replaced. For a replacement boiler or a new boiler installation we would recommend a Vaillant Ecotec. Given current regulations and the work involved, boiler replacement is never cheap but sometimes a new boiler installation is the best option. Why are Vaillant boilers our first choice for boiler replacement? Vaillant boilers are well made and the quality seems consistently high. Their technical backup is very good. The warranties on Vaillant boilers are good and we’ve found that Vaillant spares are readily available when needed. We hardly ever have to wait long for spares. In addition, all Vaillant boilers installed by Fox & Co are entitled to an extended guarantee over and above the standard guarantee that comes with the boiler! The Potterton Suprima Replacement PCB Kit manual says that flashing red 3 times/sec indicates an air pressure switch (APS) fault or a flow switch fault. We opened the boiler up to check if a flow switch was fitted (sometimes called a dry fire switch) but there was none on this boiler. This left us with the APS or, logically, the hoses connected to it. With the combustion case removed, the cause of the fault was obvious. 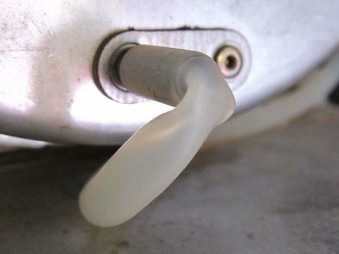 The air pressure hose between the fan and the air pressure switch (APS) was kinked (see the photo). Straightening the air pressure hose resolved the problem and the boiler worked normally. The Potterton Suprima has a long history of problems due to the PCB and I believe the company was on it’s 14th edition of the board before it finally came up with a board that wasn’t so prone to failure, unfortunately the replacement comes as a complete unit including the wiring loom and side panel. The charge for the new board is around £200.00 from my suppliers, maybe cheaper on the net. I’m aware that the old edition PCB’s were able to be purchased online for £50.00 to £100.00 but to date am not aware of any reconditioned latest edition PCB Replacement Kits. Check whether your insurance company permits the use of reconditioned parts before using them. I have included some links including one from Watchdog who received so many complaints from owners of Suprimas that they ran a feature on it! There is even a website set up by owners of Suprimas offering help to other Suprima owners!!! And finally, a forum just dealing with lockout problems.